Home Best Jumping Media Press Release Dries Dekkers and D&J Havanna shined in the Prijs Stephex Horsetrucks. 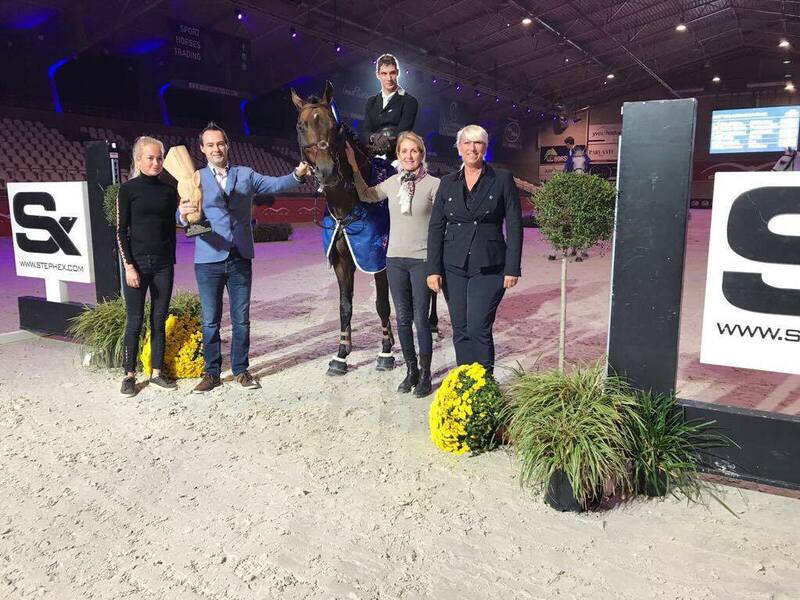 Dries Dekkers and D&J Havanna shined in the Prijs Stephex Horsetrucks. Belgian rider Dries Dekkers shined at home for the CSI3* Opglabbeek continuation and secured the victory of €24,600 Prijs Stephex Horsetrucks. The class that had the participation of 60 pairs on course designed by Dutchman Henk Linders, had a jump-off round disputed with 16 riders led by home rider Dries Dekkers with his 10-year-old stallion D&J Havanna (Griseldi x Cash) owned by D&J Projects. Marking a time of 33.63 seconds by Dries Dekkers, the Belgian secured 50 World Ranking Points with his victory and surpassed with some advantage the Portuguese rider Rodrigo Giesteira Almeida, who was presented with the 10-year-old gelding Hassan van de Wittemoere (Contact van from Heffinck x Orlando) ending in 35.08 seconds. For third place Frederic Vernaet of Belgium left a good taste with the possibility of one-two for home riders, but in definitively it stopped the clock in 35.14 seconds accompanied by the 8-year-old mare Just A Gamble ( Toulon x Corofino), followed in fourth place by Bart Bles of Holland in 35.18 seconds with the 9-year-old gelding Comino (Cassini II x Corrado I) and fifth place Robert Smith of Great Britain recorded a time of 35.88 seconds with the 9-year-old gelding Ilton (Dulf van den Bisschop x Calvaro). The best Pan American Ranking representative was American rider Kerry Mc Cahill occupying 18th place with the 12-year-old stallion Vatson Sitte (Cardento x Chellano Z), being penalized with 1 failure to exceed the time allowed. For their part, the Latino Ranking riders could not add FEI Ranking points, where the Brazilian Eduardo Damiani Filizola finished 40th with accumulated 5 fouls next to the 8-year-old mare Jella van’t Kathof (Eldorado van de Zeshoek x Calvados), Colombian rider Santiago Díaz Ortega escorted him in 41st place next to the 9-year-old gelding Carlson (Calido I x Silvio I) in 8-fault course and Brazilian rider Pedro Muylaert with the 8-year-old gelding Chief Tibri Z Mfs (Corland x Berlin) retreated. Previous articleKevin Staut the fastest of the €160,000 Second GCL Competition. Next articleHamburg Diamonds champions of the 2017 Global Champions League.